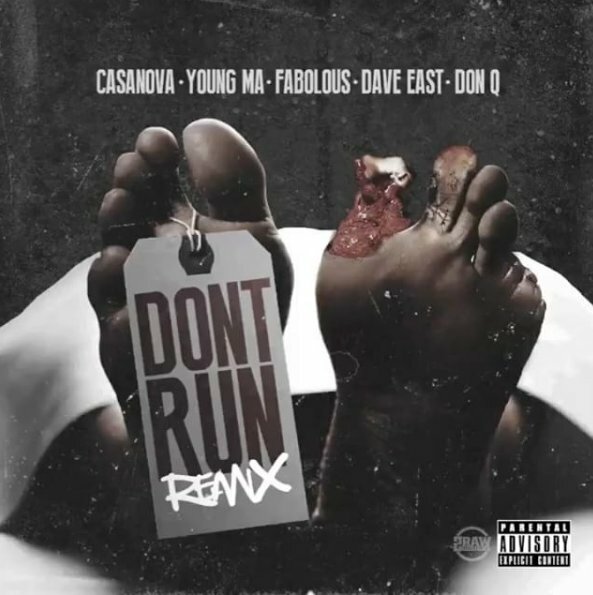 UPDATE: Just a couple days later, Casanova unloads the official video for his “Don’t Run” remix. Man, this record is fire. Casanova’s “Don’t Run” has been buzzing and rising in popularity. With a remix that brings along four more sharp lyricists from NYC, the record is only going to get bigger. Young M.A., Fabulous, Dave East and Don Q all bring their talents together for a Big Apple posse cut. The hard hitting beat gets a proper treatment as each of the New York natives brings the fire that they are individually known for. Don’t get caught up in who has the best showing because all of them deliver fire. Peep “Don’t Run” below and let us know who else would you think would rip this heater.